Heavy (though quite sporadic) rains have brought a veritable plethora of mushrooms this summer. Below is a taste – the whole set of them is over on the Natural History of Raleigh Photos. These twin babies, found in Cedar Hills Park, might get much bigger. 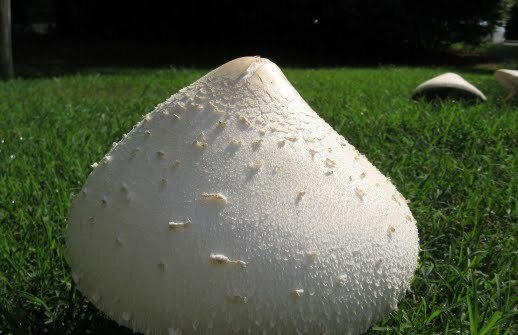 Check out the grapefruit sized monster below, which was part of a faerie ring at my school, The Fletcher Academy. 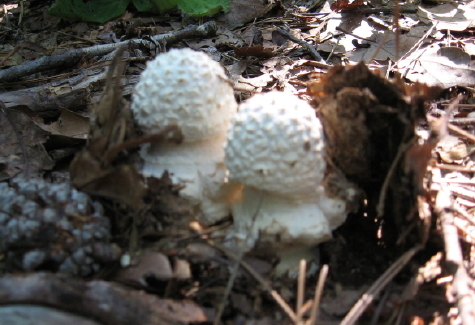 North Carolina’s Piedmont and Coastal Plain boasts over fifty speciesof mushrooms, according to the Duke Mycology page. I would not begin to identify positively any of these, but they are fun to examine and track as they release their spores and decay. 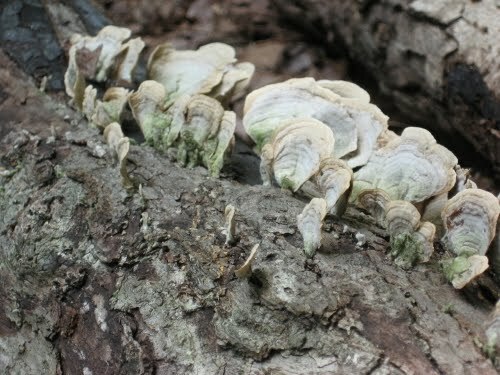 The shelf or turkey-tail mushrooms above are also from Cedar Hills Park, contiguous with the TFA campus and often visited by “Mr. DJ” and his students. 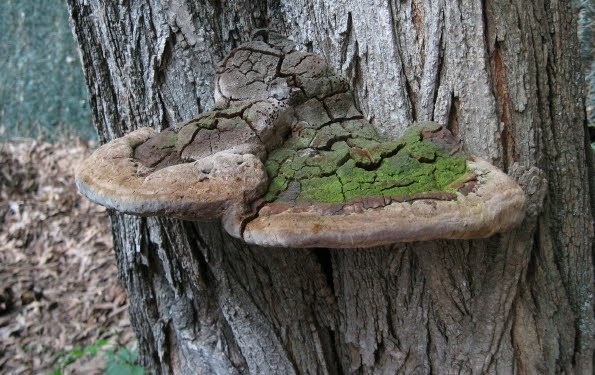 Below is an ancient, algae encrusted shelf mushroom from the other end of my life’s spectrum – the parking lot at Sadlacks! The faeries must have had a wild time in THIS circle. Found in the Capitol Square in downtown Raleigh. A reminder: mushrooms form these circles because the parent organism, consisting of thousands of intertwined undergound threads, has a central core and radiates outward in all directions. The mushrooms we see are the spore-producing “fruits” of that organism. Son, this piece of asphalt you’re looking at goes from Florida to Maine. It’s part of one of the country’s great highways – and one of the first. Indians may have used this path before Columbus came. This is business US 1. Person Street was a big part of my childhood, and now I live on it. It is the address of the church in which I grew up, Tabernacle Baptist, the Krispy Kreme, a beloved landmark long before they went public, and the Mordecai House, a genuine bridge to another time. It has been made one way now, so we can count Blount Street as its southbound lane. It has been extended to the north as Atlantic Avenue, which we will follow out. But it also has been cut off from its old extension, Wake Forest Road, as seen above, and yet this all intertwines in interesting ways in north Raleigh. Let’s start at the farthest extensions southward: Person becomes Hammond, which becomes Timber Drive at 70. Timber crosses 70 and curves under the south edge of Garner,ending in a horse pasture just past 50. Reverse your direction, and you are looking at 3 miles of new suburban projects and shopping centers. 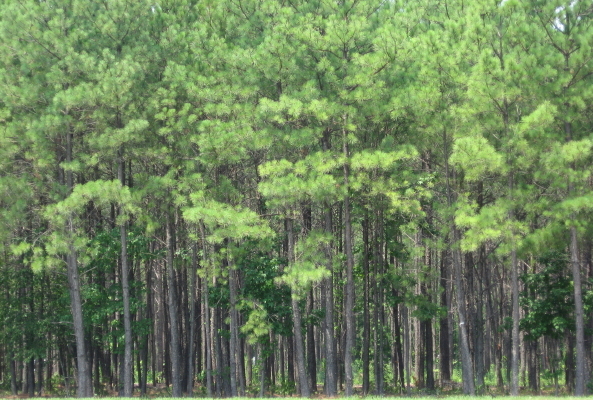 The funny thing is, it all exists in what is recognizably old farm fields with mature trees in the lowlands and various stages of pine plantation everywhere else. There are loblollies everywhere! The drive traverses four watersheds: Swift Creek in Garner, Walnut Creek at 40 and Hammond, Crabtree over the crest at New Bern Avenue, and the Neuse after the Char-Grill on Atlantic. 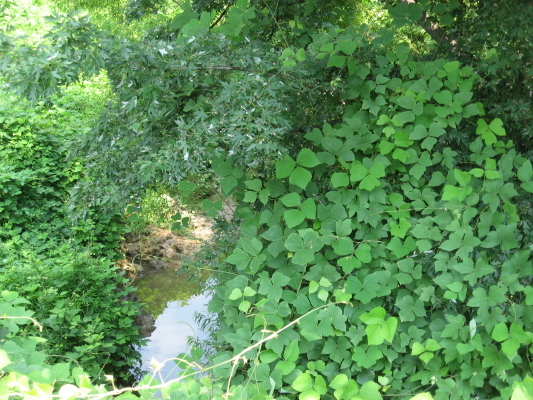 Below is Wildcat Creek, a north bearing tributary of Walnut, as it crosses Hammond. This stretch just south of downtown is still heavily wooded, with side lots and a very large swale bordered by the Lake Wheeler Road offshoots. There are some trash dumps, plenty of kudzu and microstegia, but really some nice spots. Proceeding north through downtown, one encounters many fascinating examples of human nature along Person Street. After sniffing the pet food factory at the transition from Hammond to Person, you cross Bragg Street, one of the most policed streets in Raleigh, but also some nicely renovated homes and parks, as well as the No Hand King at Person and MLK Blvd. – one of the coolest flag-bearers you will ever see. Moore Square, the Imax at my old church, the Governor’s Mansion – all are just preludes to the real star of Person Street – THE KRISPY KREME! 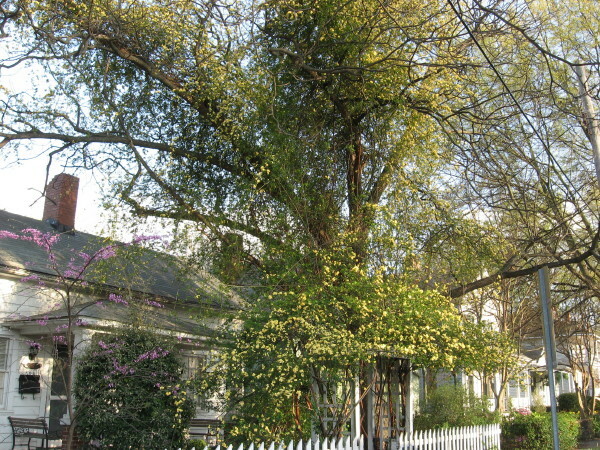 The Raleigh Naturalist lives across the street. 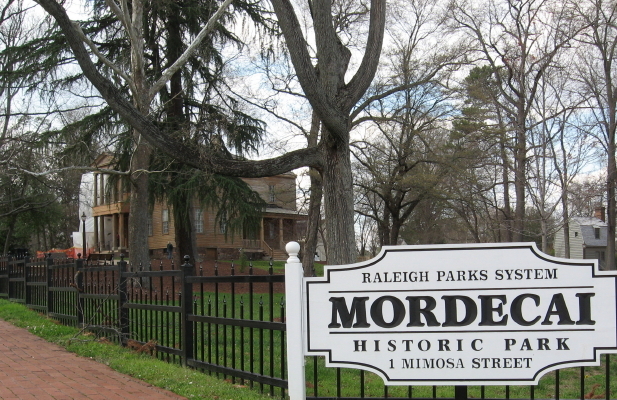 As you leave downtown, you pass the Mordecai House and its spring, garden, and historic building collection. It will have its own post soon. At the bottom of the hill, Person hits an old cowpath of an intersection whose traffic patterns have changed many times in my lifetime. Brookside, Old Louisburg, Capital, Wake Forest (which is now what Person is named) and Atlantic all crisscross. Atlantic Ave. is new, but The Circus (originally a Dairy Queen, I believe), and Watkins Grill are ancient and revered blue collar eateries. 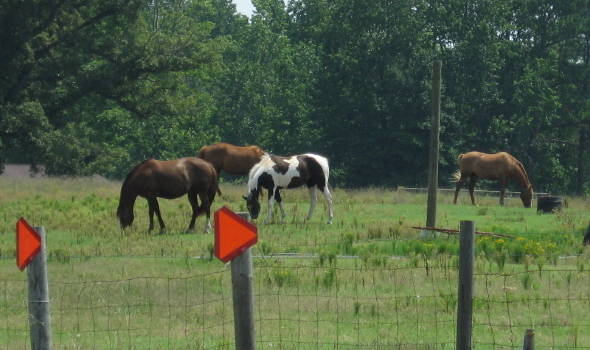 Each of them has to watch Pigeon House Creek, which crosses here, very carefully after heavy rains. You could take the straightest lane and head up US 1 to Maine. But let’s do as the city’s design suggests, and take the relatively new Atlantic Avenue north. 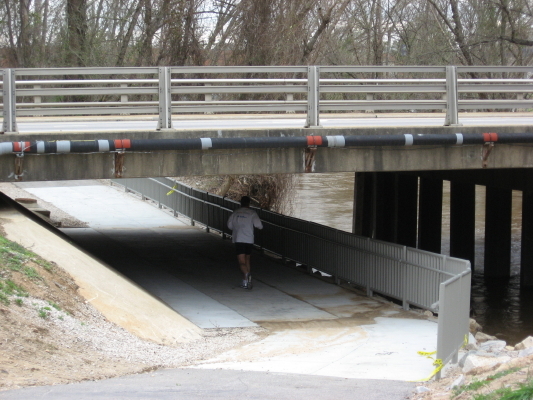 On your left, you will see the cut off RR underpass where Person used to merge with Wake Forest Road. Atlantic rises over the railroad line in a tremendous arc which is achieved by a bridge whose shortsighted design is a travesty and an affront to any biker or pedestrian in this part of the city. There is a guardrail that forces everyone into the same lanes up in midair, and looks and feels just plain dangerous. The view above is approaching south from Whitaker Mill, but the other side is just as bad. At the bottom of this imposing hill, back to the north, you hit Hodges Road which is one of the more versatile spots in all of Raleigh to begin a greenway trek. 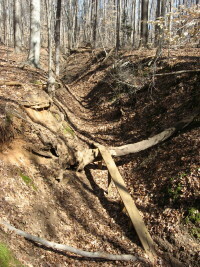 Buckeye beckons to the east, this Middle creek section carries you to Lassiter Mill westward, and several interesting bike trails lead other directions. Below is the north side of Atlantic with the underpass, and the marsh on the south side that leaks its water and is fast becoming a scrub bog. The drive through northeast Raleigh from here is pretty boring. There is a huge meadow full of bugs and birds behind and across from the police substation, but both are surely doomed. Here is the shift from Marsh and Crabtree water to dry hills edging the Neuse drainage. 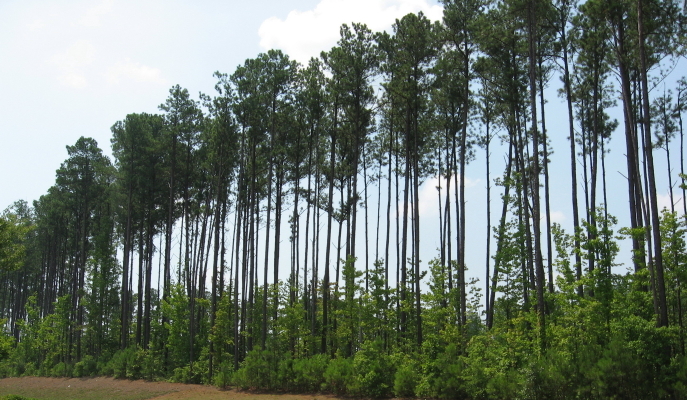 After Spring Forest, bearing right puts you on Old Wake Forest Road, part of the original route from downtown Raleigh, which leads you directly to – Triangle Town Center!! – no fitting fate for a nature drive. So finesse to the left and begin your u-turn on Gresham’s Lake Road, which will take you to Litchford, where you can finish your u-turn by turning left and continue in a straight path south all the way back to Garner. Gresham’s Lake used to be a popular swimming and picnic spot. It’s eastern end is now part of a quarry operation. 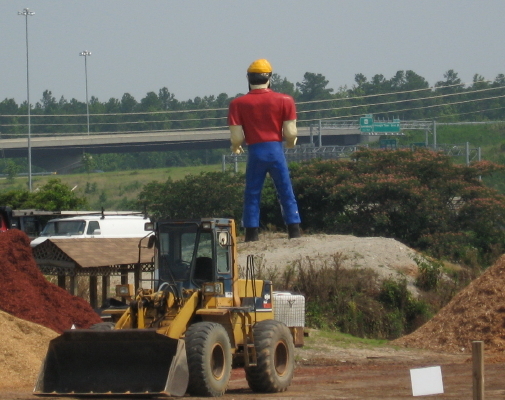 At it’s edge, you can see the huge Paul Bunyan that used to look out from a field on 401. 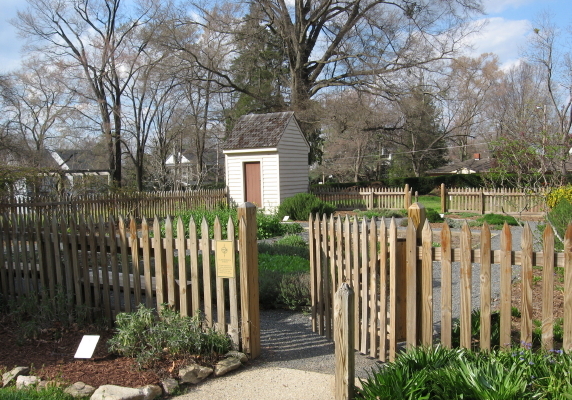 The Bradshers gave up that property for the Wake Tech campus and moved ole Paul to their landscape business at Gresham’s. More Person Street another time. It’s a rich straight street! 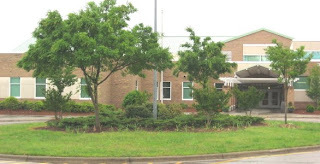 I made my first public appearance as The Raleigh Naturalist by presenting to the Ecology Club at Wakefield Middle School! I took my naturing vest, bursting with loupes, dissection kits, pocket guides and other paraphernalia. 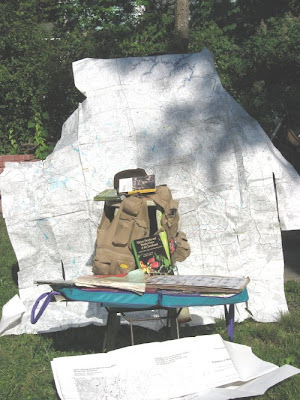 I took my naturing briefcase, more of a suitcase with topography maps, geology binder, park guides and my hand-built tree scrapbook. I also had my camera bag and hat. I gave a show and tell with all of that and talked to them about founding an Ecology Club at Enloe and also about my daughter Lily’s Envirothon work there (much more recently!). This is my walking cabinet of nature resources. I am mostly done color coding the watersheds on the large map. The vest weighs 13 pounds. The Wakefield Ecology Club was a great group of kids, led by Ms. Cindy Bowling, who invited me. They meet each week and perform recycling chores at Wakefield, plus try to learn more about their environment from guests. They knew lots of great stuff about conservation, invasive species, and native wildlife. We played a quiz game and I rewarded them with conservation goody packets put together by Lily last summer as a service project. All of the students showed excellent interest in the issues. The Wakefield MS campus is lovely. 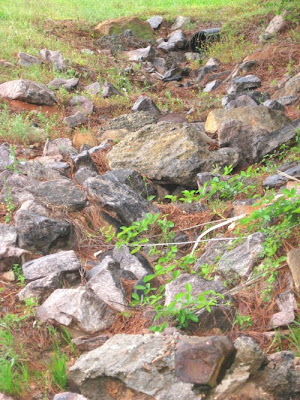 Below are some nature images from their campus. 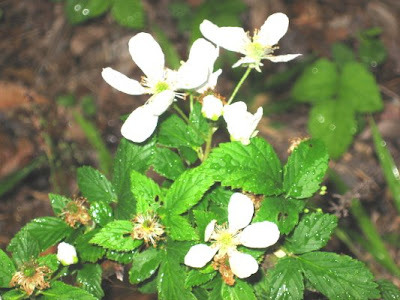 These blackberries will taste good soon! Below is a rockfall with some really nifty “man-made conglomerate” – some nice high-iron stone encased in concrete. The News and Observer just teemed with good nature news this week. 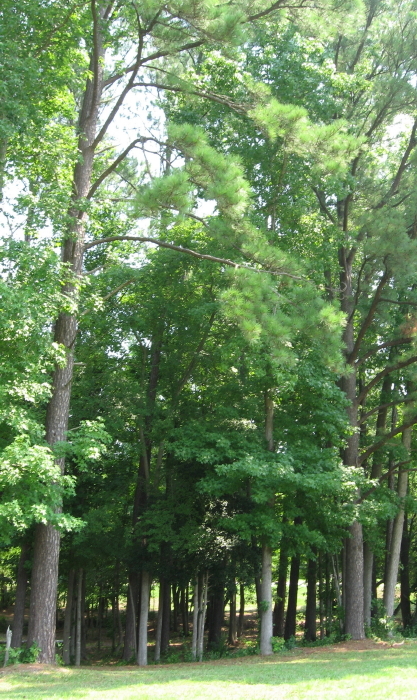 Durant Park has become a part of the Piedmont Birder’s Trail. Repairs have finally been completed on the section of Greenway between Capital Boulevard and Atlantic Avenue. 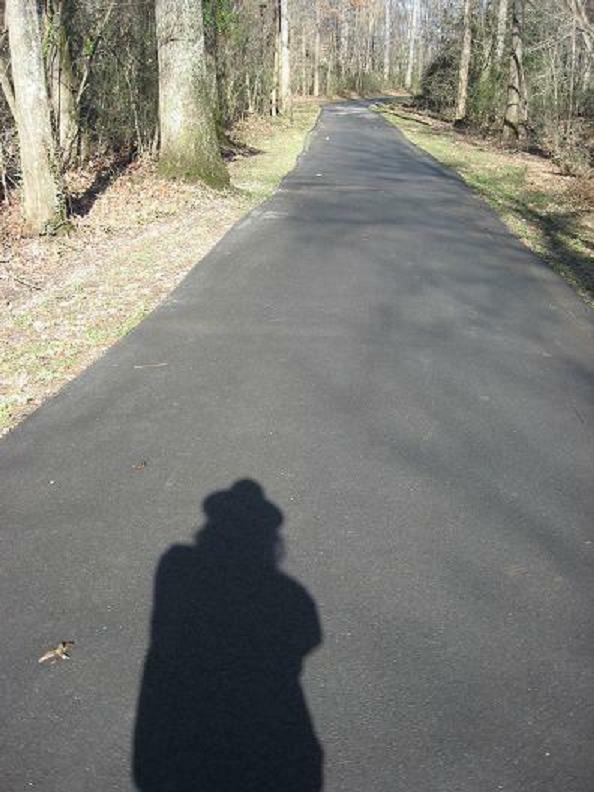 This stretch of greenway was also featured in a “best greenways” survey by Joe Miller. Links below. 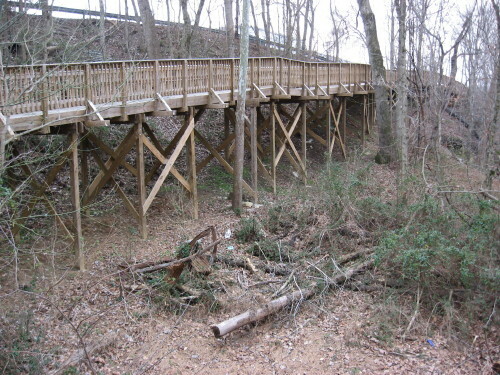 I remember the day in my high school years when they closed Lassiter Mill bridge. 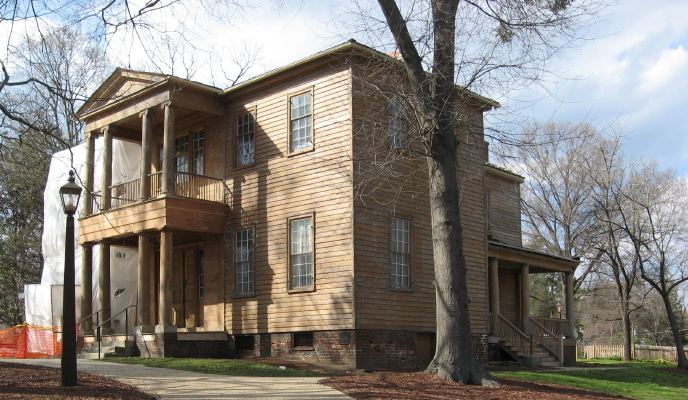 It was old time rickety but somehow made it to modern Raleigh – the 1970s- before being closed and then destroyed. I had conscientiously driven my 68 VW carefully over the twin tracks several times, fully aware I was testing out a soon-to-be piece of history. The iron on the right is part of the original bridge structure – iron and wood, and a thing of beauty it was. 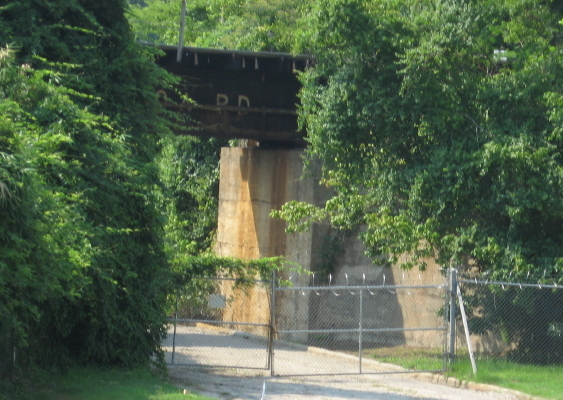 That bridge gave off an air of classic American architecture of a century past, and was fun to drive across as well, following old Lassiter Mill Road off of the new one. 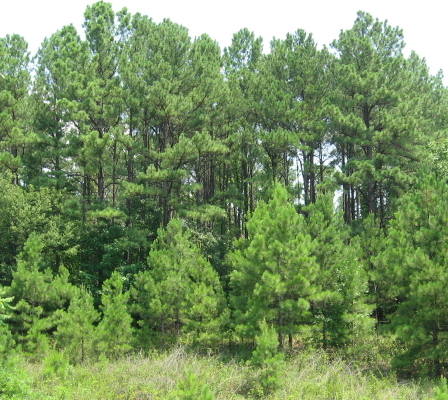 The site was originally called the “Great Falls of Crabtree” and was used by successive mills starting about 1780, a decade before Raleigh’s creation. Cornelius Lassiter purchased it in 1908 and built two 40-horse turbine wheels to mill grain and lumber. It burned in 1959, but the family continued to make use of the property until current times. Well-heeled homes now surround the entire site, but the area south of dam and lower pool, and downstream to (the new) Lassiter Mill Road, constitutes a small city park. There are picnic tables, a canoe put-in, and truly fine fishing – I have watched fly fisherman work below and above the dam many times. 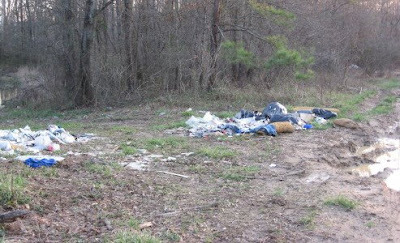 This is the spot where the city animal control folks bring misplaced snapping turtles for release – I’ve seen them wrestle some real monsters out of their truck. The fishing is also perfect for young ones, as my own can attest. Dorian’s first small-mouth bass came from just below the tailrace, and he had the enormous satisfaction, not only of helping to clean, cook, and eat it, but make his sister sick to her stomach as well. Below is his lucky fishing hole. You can also put a boat in very easily just off the cul-de-sac, and paddle your way as far upstream toward Crabtree Valley as the downed trees and water levels will let you. The deep water above the dam is like a linear lake right through the backyards of million dollar homes. As the water get shallower, you start to see some really nice slate deposits on the banks and realize you have climbed out of East Raleigh’s muddy ditch sections of Crabtree and gotten into some cool Raleigh Belt geology. This reminds us that Lassiter Mill literally and precisely marks the Fall Line in central Raleigh. I’ll run pictures of that trip this summer. This is the deep water above the dam. Dams like Lassiter Mill present a problem for migrating fish and the mussels dependent on them for reproduction (a long story we’ll get into sometime). Someday we may make an ecological choice to remove the dam. I will miss the easy canoe trip, but I understand the value of unencumbered stretches of water. Amazing to think of all the gristmills (and dams) that used to dot the Raleigh area – road names alone give you some idea – Lassiter, Edwards, Yates, Ligon, etc. A future gem of a post will explore the remains of the small mill still visible in Fallon Park. 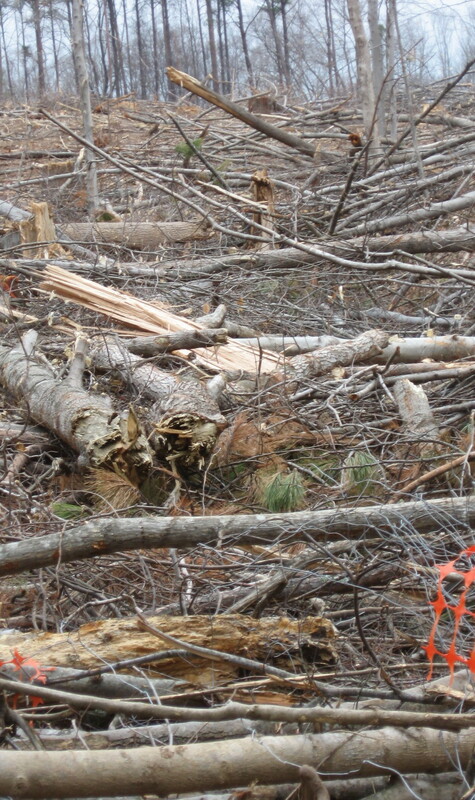 We used to live closer to nature – but we also exploited nature in ways we have given up. The comments below represent well the amazing memories and feelings the Raleigh community has for this spot. those comments are a major feature of the newly published book based on this blog. This post was originally posted on March 6, 2008. 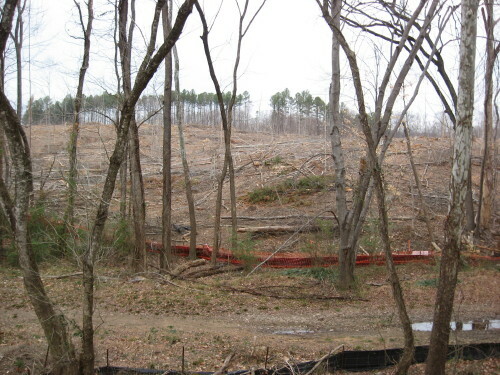 The destruction of the bike trails described by Joe Miller is not just significant for these bandit bikers: all users of the greenway between Atlantic Avenue and Capital Boulevard should mourn the loss of this old farm site, whose naked hillsides (and future clapboard townhouses) are easily visible from the greenway. 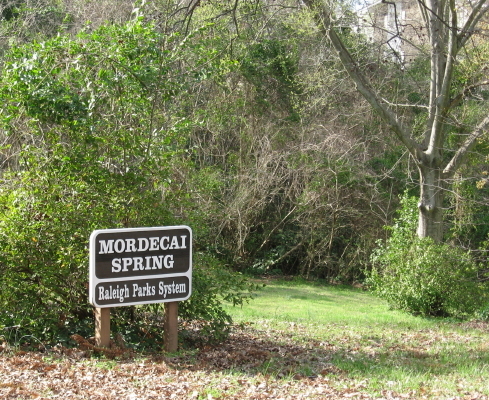 Riparian buffer is the term for the ecological value of these wooded areas contiguous with the greenway: the trees absorb rain as well as pollution, shade and cool the waters of Crabtree. Of course, the wildlife appreciates wooded areas next to the creek as well. This is a rich and variegated section of greenway with lots of interesting features in addition to the old farm site. If you park off Capital Blvd. at its intersection with Yonkers Road, you will have to jump the barrier that tells you this problematic section of greenway deck needs shoring up. The risk seems minimal, and I’ve done it many times. From this deck you can see the naked hillsides, and then follow that section of greenway as it heads toward Atlantic Avenue. A view from the greenway of what Joe Miller describes as the mohawk look. 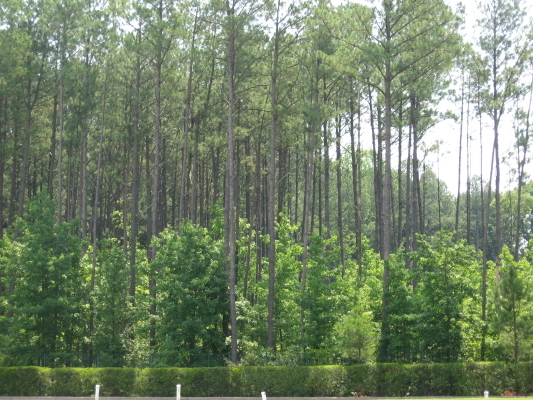 Above is the view from the new development at the south end of Six Forks. This lovely path begins at the base of the hillside deck and heads straight toward the southbound ramp off the beltline for Capital Boulevard. If this stretch survives the development, that will be significant for this greenway section. From the west end of the problematic deck, you are looking toward Atlantic Avenue. 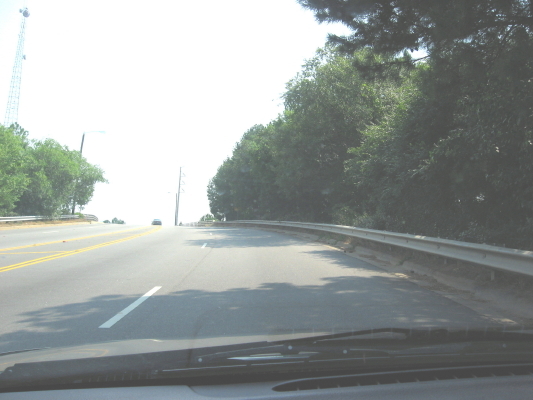 This stretch parallels Hodges Road and looks across Crabtree at the old site for the State Farmer’s Market. Below you see a bog visible to the right of this stretch. Now just across this bog we have an interesting situation. 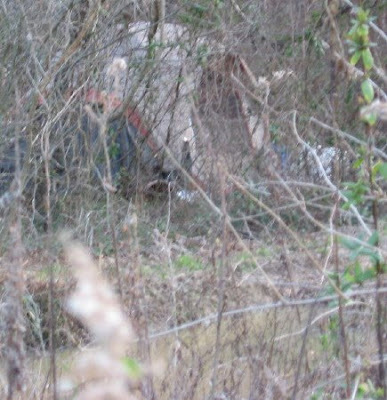 Several fellows have set up a tent just behind the Atlantic Ave marsh area and are creating quite a trash pile nearby. The trash is visible from the greenway, but won’t be long as things green in. I have observed these camps and also the urban “nesting sites” downtown and under bridges for many years and almost never gotten bad vibes from them. But that is some nasty trash! 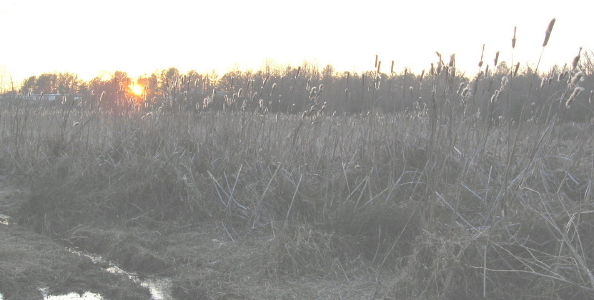 We’ll end the post with the sunset cattails which are literally within sight of the tent and trash. Be careful out there! 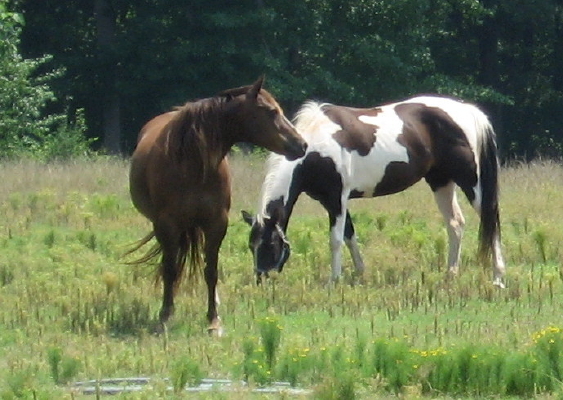 The marsh below has been short of water since well before the drought. It appears to me that the greenway construction changed the drainage somehow. What you’re looking at used to stay under two feet of water most of the year. I guess the incoming water and sedimentation will re-adjust things over time. Anybody know?